Another intriguing new concept has been unveiled prior to the Geneva Motor Show 2015 with the car in question being the Magna Steyr MILA Plus. The car is the brainchild of contract manufacturer Magna Steyr as the name suggests and it is an advanced plug-in hybrid sports car with promising performance and a rather sleek design. The Magna Steyr MILA Plus has been built around an aluminium frame which incorporates the batteries needed for the hybrid powertrain. The batteries are then joined with two electric motors as well as a three-cylinder petrol engine. Magna Steyr has unfortunately yet to reveal how much power or torque the powertrain delivers but it did reveal the MILA Plus will hit 100 km/h from a standstill in 4.9 seconds as a hybrid and impressively, go from 0-80 km/h in electric mode in just 3.6 seconds. On top of promising these impressive performance times, Magna Steyr claims that the MILA Plus will have a driving range of approximately 500 km with over 70 km achievable on electric power alone. All told, the MILA Plus will emit just 32 grams of CO2 per kilometre. Generally speaking, the Magna Steyr MILA Plus features quite a sporty design unlike all other cars in the market. The front fascia does without a traditional grille and instead only features two air intakes stretching and curving down from the headlights. Elsewhere, the wing mirrors have been mounted on the front wheel arches with the heavily raked rear window one of the most eye-catching design elements. 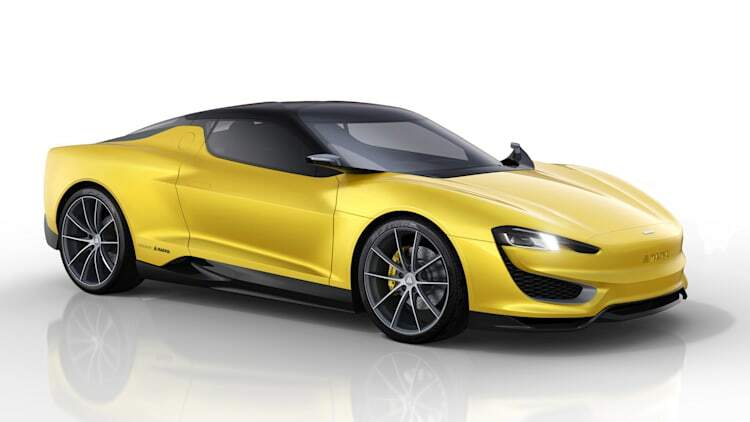 Expect to see more of the Magna Steyr MILA Plus live from the Geneva Motor Show 2015.